The Sevco Board Met The Rangers Fans Fighting Fund – What Happened? In which I comment on the meeting of the Sevco Scotland Board and manager with the Rangers Fans Fighting Fund. It is clear that the wagons are being circled at Ibrox. 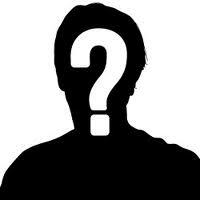 What is not clear is Mr Green’s funding and backers, but he has promised a reply to all questions only days from now! It is not clear though how much money his company has just now and has access to, nor if the sums mentioned include the purchase price of the assets. It is also unclear how the £30 million which would have been in the bank mid-July, if a CVA had succeeded has now vanished from the discussions unless it was to be the sale proceeds of the players. And talking of the players, I wondered why Mr McCoist referred to only having six first team players. Maybe his definition of first team players differs from mine, and more importantly from the official Rangers website! The Rangers Fans Fighting Fund met with the Board of Sevco Scotland Ltd on 4th July. This followed the rejection by the SPL of the transfer of the registration of the SPL share transfer from Rangers Football Club PLC to Sevco Scotland Ltd. The Vanguard Bears attended at the meeting and minuted it. The Vanguard Bears are a vocal group of Rangers fans, proud of “defending our traditions” according to its website. The meeting was clearly an attempt by the Board to get out amongst the fans of Rangers, and to make at least some plans public. The fact that the meeting was not conducted under conditions of secrecy bodes well for “transparency and clarity”. I have some comments re the matters noted, and my comments are in bold. For brevity and clarity, I refer in my comments to Sevco Scotland’s team as RFC, that being the abbreviated trading name of the company. 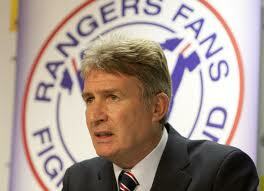 Sandy Jardine welcomed all to the meeting and introduced the top table. The results of the RFFF poll showed an overwhelming desire (76%) from the fans out of almost 20,000 polled to play in Division 3. A straw poll was taken in the room; the result again reflected an overwhelming support for Division 3. It is clear that, with the SPL option off the table, most fans of RFC have decided that SFL3 would be the best place to start. Some view this as a punishment to the SFA and SPL, as the horror stories about financial losses pour out of Hampden. Others see it as the best place to re-group for the challenge of moving RFC up the divisions. The entire Rangers board then entered the meeting, introduced themselves and explained roughly what they had done in the past. Malcolm Murray wants to rebuild the club. All assets are owned by Sevco Scotland. Craig Whyte is definitely not involved, sworn statements have been lodged with relevant bodies including the SFA regarding this. “All assets are owned by Sevco Scotland”. A couple of questions arise. First of all, why after Duff + Phelps insisted they had a binding legal contract to sell the assets to Sevco 5088 Ltd did they do so to Sevco Scotland Ltd? The nominee process of shuffling assets about is not uncommon, but in the circumstances here, especially with the TUPE consequences, surely some transparancy and clarity was required? Secondly, do the assets bought by Sevco include (1) the rights to pursue court actions against Collyer Bristow and Craig Whyte’s company, and (2) the rights to receive transfer fees due to Rangers FC PLC, especially the funds due for Mr Jelavic? Charles Green talked about ‘balanced shareholding’ – no individual person would have control of the club again. He then said that he believed “everyone outside of this room and the people we represent” is Anti-Rangers. “No one likes us, we don’t care”. 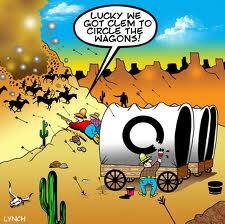 Or “circling the wagons”. Both are well-known slogans or tactics designed to rally the troops. As I touched on in an earlier post, Mr Green might not be too far wrong. When it comes to RFC, there are very few neutrals. Perhaps an issue to be addressed by Sevco is why this seems to be the case. One view is that it is jealousy. Most non-RFC fans would deny that. The board stated that £11 million has been raised so far and injected into the club. They reckon there is roughly £3 million working capital, with more money coming in over the next couple of weeks. £11 million “into the club”. Does this include the £5.5 million purchase price? If so, that means that Sevco have spent £2.5 million in under 4 weeks. If not, as the purchase price was not “injected into the club” Sevco have spent £8 million in under 4 weeks. At the latter rate how long will the funding last? John Brown asked the panel if they were still going to have £30 million available by mid-July. Charles Green said that figure was expected given while they expected a CVA to be agreed. The board were confident that more money and more investment was coming into the club and that the targets would be met. This point is not 100% clear, but I take it that the £30 million investment was predicated on the CVA succeeding. That can only have arisen, as far as I can see, from a fire sale of players during July. Sales of McGregor, Davis, Lafferty and the rest might not have raised £30 million, but the figure would keep the team going for some time, especially as the wage bill would have plummeted. As far as investment is concerned though, if I was being asked to put money into RFC as a business proposition, it cannot possibly be safe to do so until there is a decision about whether or not RFC will play next season, and if so, where. It would be a gambler who would put money in till these issues are known. A representative from Rangers Unite asked the board “What would you see as an exit price?” Imran replied that he believed on a bad day the club was worth £50 million. I have commented on this startling admission in my earlier post. There is currently £3 million in the bank account and an expected £2.6 million coming in over the next two weeks. This further investment is guaranteed and they have legal documents to prove so. From whom is the investment coming? £2.6 million plus £11 million = £13.6 million. That is some way short of the £30 million expected under the CVA scenario. Where did the difference come from? A Rangers Standard representative asked Charles Green to read out the names of the current shareholders. A number of names were read out and it was revealed that the major shareholder is Blue Pitch Holdings with 23%, which would be getting diluted to between 10 and 15% when the other investors come on board. Ian Hart was discussed as the questioner stated that he previously said he wasn’t an investor – the reasons for this were explained by CG. Blue Pitch Holdings. 23% owner of Sevco Scotland Ltd. Not registered in the UK. Who are they? Where are they from? Who is behind them? These are all questions which apparently Sevco Scotland has answered to the SFA. The previous owner had issues raised about non-UK registered businesses owning the company, indirectly. Surely they are not heading down the same road again! CG stated the club would be floated on the Stock Market giving fans the chance to own shares in the club. I am in the midst of writing a piece regarding Mr Green’s history of involvements with floated companies. This is entirely consistent with his MO. Of course he would want to float the company. After all, if Sevco Scotland Ltd could sell 50% of the shares for £25 million, on a bad day, then that would be nearly £20 million profit for the investors whilst still owning one half of the business. If Mr Green can do that, and have a sustainable business left behind him, then, in the same way as Fergus McCann, he would deserve whatever profit he could make for himself and his backers. Of course there were over 25,000 individual shareholders in Rangers Football Club PLC, whose shares were worthless even before Craig Whyte’s purchase. Mr Green could be a politician. He did not answer the question fully. He could have said if he is asking for RFC to be admitted to SFL1. In fact, he could make things simple and follow his customers’ wishes by telling the SFL that he only wants admission to SFL3. Economically he cannot do so. Sevco might struggle in SFL1. If it wants to retain some of the top players, and high earners, left, then it will have grave problems in SFL3. Charles Green referred to the players that had left as turncoats. Alan McGregor was the only one to call Sandy Jardine afterwards, with Jardine also mentioning ex Celtic PR man Peter McLean as being Steven Naismith’s agent. “Turncoats”. Nothing like being considerate towards the former Rangers players, though he would say they were not considerate of him. However, as Mr McCoist commented below, the American players have not yet returned, but not yet objected. Does this talk help persuade them to come back to Ibrox, or instead to object top the transfer and head off to pastures new? I think there is only one answer to that. Why mention Peter McLean’s connection in the past to Celtic? Was Mr Jardine suggesting that Mr Naismith decided, or was persuaded, to leave as part of a Celtic plot? When we had reached the happy stage where ex-Celtic players could play for Rangers, and vice-versa, what relevance does the former employer of a PR man have, unless to feed the feeling of the world being against Sevco. CG expects criminal charges to be brought to the previous regime. Is this simply a crowd pleaser, or has Mr Green evidence to justify the statement. We shall see. CG was asked if the possibility of playing in England exists and if he made an attempt at buying Bury FC. 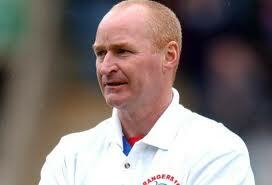 He responded that he was attracted by Bury and hoped to mention the club along with Rangers. Unfortunately distance was going to be a problem, as after Wimbledon became MK Dons the football league changed its rules to state that any merger between two clubs could only happen if the clubs were within roughly 60 miles of each other. He also looked at the possibility of buying Carlisle, but believes we cannot merge with an English club. We would have to start at the bottom of the conference if we were to go to England. Did Sevco approach Bury? Again this is not clear. However, unless this is purely PR spin by Mr Green, he has been looking at a move to play in England. If so, it is ironic that the SFA and SPL have predicted a “slow lingering death” for Scottish football if Rangers go to SFL3. For all the talk about RFC taking steps for the good of Scottish football, these remarks emphasise that, for Mr Green, this is a business venture which needs to make a profit. The interests of Scottish football are very much secondary to those of Sevco Scotland Ltd. In a capitalist system there is nothing wrong with that. However it does make ridiculous the bending over backwards of Messrs Doncaster and Regan, if all the time RFC contemplate a move to England. It does not seem to be happening though. A supporter asked when the current money in the club would run out without further investment. No answer was given. The same supporter was asked later to view the Club assets documents (the one’s Findlay wants to see), but declined the offer. A representative from Denny then informed the panel that he had four reasons why we should go into Division 3. First he believed it would test Charles Green resolve; secondly he believed it would show the benefit of Auchenhowie and allow the management team to gain experience. Third, it would galvanise and unite the Rangers support, and lastly it would allow us to move on and concentrate on defeating the SNP’s fight for independence. Malcolm Murray stated that the process for changing the name of Murray Park is underway. What “process”? Of course the original incentive was that buying a season ticket got the purchaser a vote for the new name. The ballot process might be ongoing, but I can see no reason why, if Sevco, the apparent owner, wanted to change the name right now, it could not do so. I do not think that there could, for example, be a valid condition in the title requiring that it stay “Murray Park” in perpetuity. John Brown and Andy Goram both asked if Donald Findlay QC could see the title deeds of the club, Brian Stockbridge, the club accountant, told John Brown to give him a call and they would set up a meeting where Donald Findlay could see the title deeds. This didn’t seem enough for Brown; he believed that a secure location had to be set up because Donald Findlay didn’t want people to know that his name had been mentioned, even though John Brown mentioned it on numerous occasions. If Mr Brown is correct, then sadly Mr Findlay’s efforts to keep his involvement quiet have failed. One gets the impression he is not being consulted formally, but rather as a concerned man with a Rangers background. Mr Brown has been wise to enrol Mr Findlay in his camp, if indeed he has, as the mutton-chopped QC is the nest known “Rangers” lawyer in the land. However, it seems odd that Mr Brown announced at a public meeting that Mr Findlay, who as the minutes record has been publicly mentioned already on a number of occasions by Mr Brown, wants his involvement to remain out of the picture. From what has been made public, if I was Mr Findlay, I might regret Mr Brown making it clear I had hitched my wagon to his. 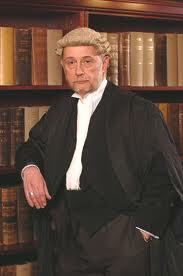 Donald Findlay though is a very wise and experienced man who would not need advice from me. Some have queried whether his role as Cowdenbeath chairman means that he is compromised in being involved with this matter, or whether, to use the phrase of the week, a “conflict of interest” arises. I do not see it, and more importantly Mr Findlay would not put himself into a position where such accusations could be made with foundation. John Brown then claimed that a friend of his offered £11 million for the club before Charles Green’s consortium and that Duff and Phelps had rejected it or ignored it. This was debunked and denied by the board. Reading the minutes, it is clear that the minute taker at least is not a fan of Mr Brown. Brian Stockbridge twice explained the financial situation to Brown which appeared to go in one ear and out the other…. Charles Green left the meeting to attend another meeting with our enemies. And we are back to circling the wagons. I assume that Mr Green did not refer to “enemies” and that this is the minute taker’s view. If that though is the perception held by a significant section of the Rangers supporters, then it helps explain what I discussed in my piece mentioned earlier. Various supporters took to the floor offering best wishes to Ally McCoist, stating they would be renewing their Season Tickets as there was no alternative. Q – Will you be asking the fans to renew their ST’s? A – Ally said he couldn’t ask the fans to renew ST’s as he didn’t know which players would be there or where we would be playing and he wouldn’t want it on his conscience that our hard-earned cash was being spent on something he couldn’t guarantee. Also, he didn’t have full trust in the current board for two reasons; he hasn’t known them long enough yet and because of the actions of the previous incumbents. For the manager of the football team, having sat with the Board, his employers, and then, on their departure to say (a) that he could not ask fans to renew Season Tickets and (b) that he did not have full trust in the new board, is remarkable. If that is what he believes, and I have no reason to doubt it, his frankness is to be commended. However, a man as experienced in media and interviews as Mr McCoist could have found a way to fudge his answers. As it stands, the anti-Green faction, which is sizeable, can now say that the manager does not trust Mr Green nor does he recommend Season Ticket renewal! Q – If you were at our (the supporters) side of the table would you buy a ST? I do not think this answer negates the import of the one above. Q – Would the manager prefer Division I or Division 3? A – Ally replied that he felt his duty as the manager was to carry out the fans wishes, if 80% of them wanted Division 3 then he would be 100% behind that. He said that only six first-team players turned up for training plus all the kids. He was unsure if Edu, Bocanegra and Goian would return from their extended break. When first team training started, Rangers.co.uk reported that 13 players turned up. Looking at the players listed by Rangers on its website as first team players, together with players listed as reserves who played for the first team last year, I count 16 players. Of these, 6 are full internationals; 6 are under-21 internationals; 1 has played at under-19 level internationally; and finally one id capped at under-17 level. In addition the Rangers website lists 29 reserve and under-19 players, excluding those I have counted above, and those known to have left the club. I have not included the Academy players. In addition, I am sure that some of the reserves and under-19 players will have international experience at some level, but I have not searched through each one. Those figures suggest a squad of 41 players, at most, to choose from. I have not checked through the SFL clubs, but I would be surprised if many have six full internationals on their books, or a squad of 41 to pick from. Maybe the difference between the figures is that Mr McCoist only counts full internationals as first team players? Maybe he should speak to whoever runs the official website, as their figures do not agree with his. Has Mr McCoist lost a lot of first choice players? Of course he has. Does he have a squad which, without addition, could have competed or at worst survived in the SPL? Probably. Is he in position where he and the myriad of ex-players who form the back room staff might have to pull on jerseys to make up numbers? No. Is it realistic to expect a squad of players including 6 full internationals, at least 6 undr-21 caps, and a number of under-19 and under-17 internationals to compete in the SFL? Of course! Q – It was reported in the rags that you were resigning from the club, was that the case? A – It was explained by Ally that he had a fall out with CG – things like that happen, but never at any time was he for walking away. John Brown was then asked to take the microphone for 10 mins – which turned into almost 30. Virtually nothing of the way forward for Rangers was discussed. He was prompted to come to the top table by RFFF Chairman to view the relevant documentation to satisfy his demands, which he declined. The meeting was then informed by Chairman McCormick that he was Brown’s accountant, which brought about many wry smiles from those assembled. As I said, I suspect the writer is not a fan of Mr Brown! Sandy Jardine then informed the meeting before closing that there will be another RFFF meeting convened soon to discuss the position of the RFFF and funds within it. What do we learn from this view inside the Ibrox Board and management? At least for the fans, the view is being put across that everyone is against them. The creation of siege mentality is a tactic used in business and sport to rally the troops. As I said above, there might be a lot of truth in that suggestion, or at least in the premise that few neutrals are for “Rangers”. Resentment and anger are still directed at Mr Whyte, not surprisingly. The financial information disclosed in these minutes seems lacking in detail and clarity. How much has been put in? Does this include the purchase price? Where is the rest of the money coming from, and from whom? Who or what is Blue Pitch Holdings? Where is it incorporated? Maybe some of these questions will be answered in a few days when Mr Green’s seven-day period for answering all questions, as he said he would, expires. 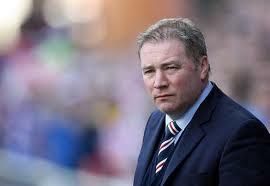 It would also be useful if someone could ask Mr McCoist about his squad. By my reckoning the following players have returned to training, and indeed some have signed new contracts:- Alexander and Gallacher; Broadfoot, Wallace, Perry and Hegarty; McCulloch, Bedoya, Hutton and Mitchell; Kerkar and Hemmings; and Little, Cole, McKay and K Naismith. There are also another 29 reserves and under-19 players. It is also clear that Mr Brown does not have the full backing of the support, as he might have thought he would receive as a “Rangers legend”. It is also clear that, for all the stated desire of the fans to have a team play in SFL3 rather than SFL1, that is not Sevco’s preferred option. Quite how financially Sevco would survive in SFL3 without drastic cost-cutting is not clear. To use one example, Neil Alexander, the perennial back up to Alan McGregor, is apparently on a contract paying him £8,000 per week. Over a year this is roughly £400,000. Albion Rovers, in the season they were promoted from SFL3 to SFL2 had an annual turnover of just over £257,000. Stenhousemuir’s turnover for the year ending 31 May 2011 was just under £500,000. One player for RFC, who will be the first choice goalkeeper if he remains, will be paid a wage which will exceed the turnover of a number of Scottish teams. If Mr Green can make a football team financially viable in SFL3, or even SFL1 on that basis, then he should be appointed Chancellor of the Exchequer! How can D&P get away with claiming that they had a binding agreement to sell assets to Sevco 5088 Ltd., an act which undoubtedly would have the effect of discouraging other bids, and then at a later date, sell those same assets to a different party? Is that acting in the best interest of the creditors? Thanks Paul, another fun read. You have to admire Green. Is Sevco Scotland Limited able to provide contracts to football players that meet the requirements of the SFA? I am preplexed by this as the SPL already refused to transfer the licence from RFC(IA) to Sevco Scotland Ltd. Does the SFA hold copies of the contracts? Paul – I believe that Blue Pitch Holdings is critical to understanding Green’s consortium and I have looked at Blue Pitch Holdings in several of my posts in the previous thread. I have copied one which I think gives the flavour of things and I hope you don’t mind. Have undernoted an email sent to a Swiss lawyer which is self-explanatory. It appears that you or your company represent Orchadia SA of Geneva whose sole director is given as Arif Masood Naqvi and I believe this is Mr Naqvi of Abraaj Capital. Mr Green who is heading the consortium which has purchased Rangers has said that a Mr Alessandro Celano/Blue Pitch Holdings is the largest investor in his consortium and I believe that this Mr Celano is employed or works with or advises Orchadia SA. I am sure you can see the direct line I have drawn to Mr Naqvi and I would like to know whether Mr Naqvi is involved in any way with investing in Mr Greene’s consortium or has any involvement with Blue Pitch Holdings. It may well be that despite any links with Mr Naqvi and Mr Celano that Blue Pitch Holdings has nothing whatsoever to do with Mr Naqvi or any company he is associated with. I am well aware of the excellent reputation deservedly held by Mr Naqvi and I wish to make it clear that I am clear that he would not knowingly be involved in anything which could be looked upon in a negative or unprofessional light. As I mentioned earlier, the situation involving Rangers has created a mini-revolution among Scottish Football fans and passions and tempers are running high and objectivity is often the first casualty in such situations. It may well be that Mr Naqvi might see the benefit to be gained from a clear statement of his position in this matter or indeed his lack of involvenet. I have also contacted Abraaj Capital direct and requested the email address for Mr Naqvi’s private office but I am happy to deal with yourself on this matter if this is what Mr Naqvi wishes. I would repeat that I make no allegations of impropriety of any kind. I well recognise that some financial transactions require to remain confidential however the Orchadia, Blue Pitch Holdings, Mr Naqvi and Abraaj Capital are already being openly discussed in Scotland with a lot of speculations surrounding the nature of any connections which may exist. So it might be a good time for Mr Naqi to makje a statement as I find that beyond a certain point a bald ‘NO COMMENT’ tends to fuel speculation and paranoia. Shurely shome mishtake Ecojon ………….Neil Murray, born in 1973, last played Rangers in 1996. I doubt very much that Sion FC would be desperate enough to take a 39 year old even on a “free”. Hope the following snippets might be useful. Of the money raised so far (£5.5m is lodged with the lawyers Taylor Wessing, as confirmed by Simon Shipperley of Duff and Phelps at the fans’ meeting), £2m has come from Singaporean investors, £2m from another major investor, with the remainder split. Having closed the initial round of funding with £10m raised, Green says he will entertain a second round of investment with a maximum of £4m per investor. Green also referred to a £10m stadium-naming deal with “an airline investor or alternative”. “The plans have been published in a glossy 24-page presentation to prospective investors. Green claims anyone willing to invest in his rescue mission will double their cash as part of a get-rich-quick scheme. And the document reveals Green also stands to personally pocket a multi-million pound bonus from the deal, despite not laying out a penny of his own money on the takeover. In his confidential ‘Investor Presentation’ Green reveals his plan to buy the club through holding company Sevco 5088. He will then become chief executive and says the club will be floated on the AIM stock market later this year when his group of investors stand to ‘double’ their money. Green also stands to make a fortune as the brochure reveals he is “being incentivised by 10 per cent of the enlarged share capital of the holding company post completion”. It (The Prospectus) also describes ‘advantages’ to a Newco being banned from Europe for three years, including slashing the first-team wage bill from £18m to around £11m. You have done a serious amount of work on that. Best article I have seen in ages.With everything that is going on over there I will make a prediction that they will not play in any league this year. They just don’t have the time to get it all sorted. Of the 41 players, how many will have to go to allow them to qualify for the SFL? 115.2 A club shall be permitted to register, at any one time, up to a maximum of 22 players, who have reached the age of 21 years on 1st January of the appropriate year. The maximum number of 22 players includes players registered by means of a temporary transfer. Additional players may be registered by a club, however such players must be under 21 years of age on 1st January of the appropriate year. There are 32 players in the Gers first team squad, 11 on the coaching staff, 35 Under-19 players and seven academy coaches in a total staff roll of 177. Talk about sailing blithely towards disaster. It puts the Titanic in the shade. So the sensible fans are saying, let us start again at the bottom, cut our cloth according to our means, learn from the excesses of the past and never let this happen again. A sensible and I believe sincere attitude which is highly laudable. However being old and cynical I believe that as long as there remains a Glasgow Celtic and a vociferous following that take defeat as an insult to their manhood it is as inevitable as night follows day that the history of Glasgow Rangers is condemned to repeat itself. Think Ally played that rather well. Stabbed Green in the back then showed his unswerving loyalty to Rangers come hell or Div. 3. Only hint of anything positive was that there seemed to be a fair degree of scepticism towards Bomber Brown and his ludicrous antics. I have read this in wonderment. Absolutely brilliant, Top quality! ‘Dodgy Craig’ Whyte, Duff ‘n Phelps, Charlie Green, ‘Sleekit Ally’ McCoist, ‘Thick Bomber’ Brown, ‘Sandy ‘Ned’ Jardine, Vanguard Bears, Follow Follow, Rangers Media. All of the above deserve each other. I’m sure one will comfort the other on the slippery slope to oblivion. Just back from my local where I fled to to watch Andy Murray after the rain interrupted play. It’s a 50/50 Celtic/Rangers pub and there’s never any probs between fans as we’re all pals. What was very interesting to me today was the feeling with Rangers fans that they really are worn down with all the shite but none of them has bought a season ticket yet and there seems to be a universal distrust of Green because they don’t think enough detail has been revealed. But lots also said that they were very tight for cash and were unsure if they would have bought a season ticket anyway even if the old regime had still survived. I found that interesting as possibly this economic pressure could affect the abilities of other SPL clubs to bolster finances to offset the loss of TV finance. Virtually every Rangers fan in my local was unanimously in favour of SFL3 entry. Interestingly this was because they felt it gave them the best way to build the team to get back to SPL success. It wasn’t to screw the SPL and because they candidly admitted they might not get out of SFL1 in one season with the squad they were left with which could mean an even longer period to before being able to compete successfully in the SPL. I have no wish to comment on their attitudes because I believe this is a matter for Rangers fans to decide on and I think the suits & blazers should perhaps listen to what Rangers fans are saying as riding roughshod over them and SFL teams seems to me to only be storing up problems for the future of Scottish Football. The gulf between fat Sally and Chico Green seems to be far wider than anyone thinks. Wasn’t it Green who, when Chairman of Sheffield United, was quoted as saying that: ‘if he could get more money growing potatoes on the park than playing football then he would do it without hesitation’. He couldn’t care less if Sevco f.c play in DIV 1, 2 or 3, so long as he gets his profit margin he doesn’t care a hoot. Therein lies the difference between him and wee Fergus McCann who DID care about Celtic and made sure they were on a good footing before riding off into the sunset. Any division for Sevco f.c this season will be a disaster for THEM but NOT for Scottish football. The game will be better than ever now that the young players will be given the chances they deserve. I feel that there is an inevitability to this all. Rangers will end up on the bottom rung but will bounce on all the rest as they make their way down to the Third.and possibly re-group. It will be years before they are ready for the SPL, if ever. The biiggest threat to Scottish football is not the loss of Rangers (it has happened) but the inability of the press and the Administrators to accept it and get on with things. They are gone, replace them and get on with the competitions. If you give them time they will just take longer to fail to come up the mark. Maybe when Green tells the whols story this week his master plan It will make me eat my words. Doubt it somehow. Is it pedantic to suggest that the title should read ‘ The Sevco Board Met The Sevco Fans Fighting Fund –What Happened?’ – after all there is no ‘Rangers’ to fight for. Hello Paul, doing some research and alessandro celano of blue Pitch holdings only uk company is 1508 London limited Which address is 20-22 Bedford row London, Collyer Bristow 4 bedford row London just a coincidence? “Alessandro Celano of Blue Pitch Holdings” is apparently what Green said.at the meeting. There is so far no conclusive evidence about Alessandro Celano. There are 2 people with that name that might be him. One Swiss and one Italian, both seem to be a front for investors. As for Blue Pitch Holdings there is no such company that I have become aware of. Perhaps it will be formed when the “2.6 million” arrives? It is really just more smoke and mirrors from Green though. Guess we will not be told any time soon.. The address in Bedford Row is for a company which gives businesses mailing addresses. I did agree with you that there were two possible Alessandro Celano contenders associated with Blue Pitch Holdings but by late yesterday I became certain the two Alessandro Celanos are one and the same. 1) Alessandro Celano who heads the ‘family wealth’ department of Geneva-based Orchadia SA of Geneva whose sole director is given as Arif Masood Naqvi of Dubair and Pakistan who I further believe is Mr Naqvi who founded the multi-billion $ Abraaj Capital. 2) Alessandro Celano who is a director of 1508 London Ltd. So why do I thing 1) & 2) are the same person. Quite simply because another director of 1508 London Ltd is Fayeeza Naqvi. A Fayeeza Naqvi is a founder and Chief Finance Officer of the very prestigious Aman Trust whose Chief Executive Officer and co-founder is none other than Arif Masood Naqvis of Abraaj Capital. Therefore I have no doubt that 1) & 2) are the same person but if @ degough has any other candidates for Alessandro Celano then please supply the details and we will attempt to check them out. I am fairly certain that Blue Pitch Holdings is not a registered company as such but merely an investment vehicle for shareholders which is a very common device. As to Alessandro Celano being Swiss or Italian – You have to be very careful in ascribing nationality with the Swiss as the population splits into German, Italian and French speakers and it is easy to become confused as most of them are pretty fluent in all three languages as well as English. Looking at Orchadia Celano’s CV he appears to have begun his investment banking career working for a major Canadian company headquartered in Montreal although he may have worked for it in Switzerland or elsewhere. So perhaps he might be a French-speaking Canadian. I might order directorship details for 1508 London Ltd as I think they still display Nationality details. One of the things that people supporting Green continually state that he should be supported because he has put his own money where his mouth is as opposed to so-called Rangers Men. Looking at the comments I pick up the feeling they are part of an organised PR campaign to ensure Green’s success. Maybe I’ve missed something here but what money has Green personally invested as I can’t remember anything he has paid over except the pound in his pocket to Whyte for his shareholding. Another thing that I missed earlier was that the investment prospectus reveals that the founder shareholding bloc which is limited to £10 million in total has the opportunity to double their shareholding at £1 a share. These founders are highly unlikely to include ordinary club supporters so we will probably end up with Rangers fans having to raise and invest more than £20 million – at £1 a share – to take control of their club. I think we all know this will never happen and that is no slight on the fans but more a sleight of hand by the money-men.